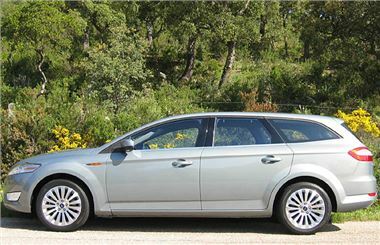 www.newcar4me.com offers New Shape Ford Mondeo 2.0TDCI Titanium Auto Estate, Ink Blue, Climate Seats, Park Assist, Tyre Pressure Monitoring System, Sunroof, Sports Suspension, 18” Alloys UK LIST PRICE - £26,745, NC4M sale Price - £19,899, Cash saving on list - £6,845. This is approximately 25% off list. Other profiles available – please call.